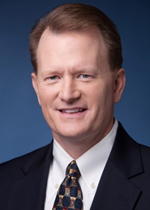 COLUMBIA, MD; December 13, 2012 – The Board of Directors of Arbitron Inc. (NYSE: ARB) today announced plans to appoint Sean R. Creamer, 48, President and Chief Executive Officer, effective January 1, 2013. Upon his appointment, Mr. Creamer will succeed William T. Kerr, 71, who has announced his intention to retire as President and Chief Executive Officer on January 1, 2013. INTERNET BEATS TELEVISION FOR FIRST TIME...!